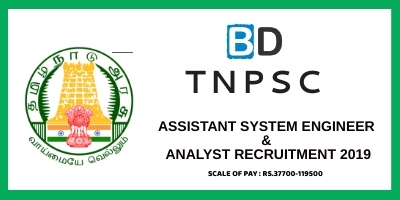 Institute of Banking Personnel Selection (IBPS) has released the notification for the IBPS RRB 2018 for the posts of Scale I, II & III Officer and Office Assistant Posts. The total number of vacancies available for the IBPS RRB 2018 is 10,190. 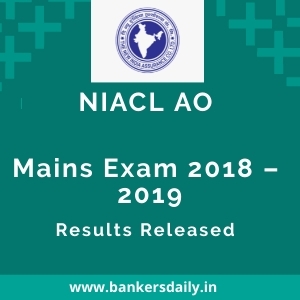 Since this notification released by IBPS for the Regional Rural Bank (RRB) is a large one and everything needs clarity , we have broken down all the necessary details into separate ones for the convenience of the aspirants. Find the posts from the links below. We are also providing the important Questions which the aspirants might get while applying for the IBPS RRB 2018. Here goes the important FAQs regarding the IBPS RRB 2018. Q1. What are the positions available in the IBPS RRB 2018 ? The positions that are available in the IBPS RRB 2018 notification are as follows. Q2. Where can I find the Detailed notification of the IBPS RRB 2018 ? 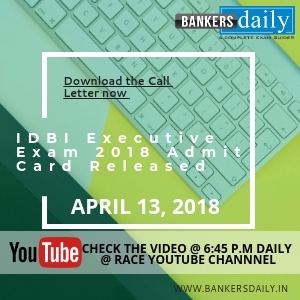 Aspirants can find the detailed notification of the IBPS RRB 2018 and also the brief video discussion of the IBPS RRB 2018 from the link provided below. Q3. Can an aspirant apply for more than one post available in the IBPS RRB 2018 notification ? A candidate can apply for the Post of Office Assistant (Multipurpose) and can also apply for the Post of Officer. However a candidate can apply for only one post in officer’s cadre i.e. for Officer Scale-I or Scale-II or Scale-III. Candidates have to apply separately and pay fees / intimation charges separately for each post applied for. Q4. What is the educational Qualification to apply for the IBPS RRB 2018 ? Aspirants can check Educational Qualification and the Experience for the posts available in the IBPS RRB 2018 from the link that is mentioned below. It has been eloborately listed in the article. Q5. What is the Age Limit to Apply for the IBPS RRB 2018 ? The age limit to apply for various posts are provided below and the age would be considered as on 1st June, 2018. Q6. I am a Final Year Student , Can I Apply for the IBPS PO 2018 for Scale I Officer and Office Assistant Post ? No. Please refer the Question No. 4 Answer where it is clearly mentioned that only a graduate can apply for the post. If you have cleared the final year and got the results , the below said points are valid. Also note that the results have to be declared before 2nd July, 2018. All the educational qualifications mentioned should be from a University/ Institution/ Board recognised by Govt. Of India/ approved by Govt. Regulatory Bodies and the result should have been declared on or before 02.07.2018. Proper document from Board / University for having declared the result on or before 02.07.2018 has to be submitted at the time of interview for the posts of Officers (Scale I, II and III) and at the time of joining for the post of Office Assistant (Multipurpose). 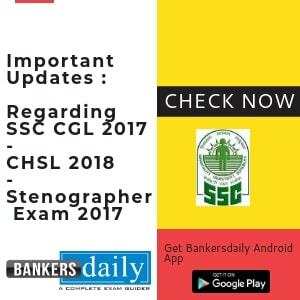 The date of passing the eligibility examination will be the date appearing on the mark-sheet or provisional certificate issued by University / Institute. In case the result of a particular examination is posted on the website of the University / Institute and web based certificate is issued then proper document/certificate in original issued and signed by the appropriate authority of the University / Institute indicating the date of passing properly mentioned thereon will be reckoned for verification and further process. Q7. How to Convert CGPA to Percentage, as it is mentioned that percentage should be declared ? Yes, aspirants have to mention the Percentage while applying for the IBPS RRB 2018. If you are an ANNA UNIVERSITY student, you can get the CGPA to percentage conversion certificate in the Anna University Chennai Campus itself (Please apply now itself, it may be required in the future, so it is wise to apply now itself). Also for other university students , you can get the CGPA to percentage conversion certification in you respective universities. Please check this point which is officially mentioned in the notification. Candidate should indicate the percentage obtained in Graduation calculated to the nearest two decimals in the online application. Where CGPA / OGPA is awarded, the same should be converted into percentage and indicated in online application. If called for interview, the candidate will have to produce a certificate issued by the appropriate authority inter alia stating that the norms of the University regarding conversion of grade into percentage and the percentage of marks scored by the candidate in terms of norms. Q8. What are the conditions regarding Local Langauge ? Can any aspirant apply from other state too , if they know the language ? These conditions are mentioned in the official notification of the IBPS RRB 2018 notification , please check the same. This holds true for all the states. Where the candidate does not meet the aforesaid requirement in local language at the time of selection, he will be given a time of six months from the date of joining to acquire the proficiency. This period can be extended by the Boards of RRBs within the framework of the rules and provided that such extension should not be beyond the probation period. Aspirants can also check the official language list of all the States from the link that is mentioned below. Q10. What are the important Dates regarding the IBPS RRB Application Process ? Aspirants who wish to apply for the IBPS RRB 2018 can do before 2nd July , 2018 and the application process has already started. Q11. Can an aspirant change the data provided at any point of time during the IBPS RRB 2018 process ? NO. Please note that the information provided during the Application process is final and last year some candidates faced issues during the registration process as they have made mistakes during the application process. Please note that all the particulars mentioned in the online application including Name of the Candidate, Category, Date of Birth, Post Applied for, Address, Mobile Number, Email ID, Centre of Examination, Local Language, Preference of RRBs etc. will be considered as final and no change/modifications will be allowed after submission of the online application form. Candidates are hence requested to fill in the online application form with the utmost care as no correspondence regarding change of details will be entertained. IBPS will not be responsible for any consequences arising out of furnishing of incorrect and incomplete details in the application or omission to provide the required details in the application form. Q12. Should I need my left thumb impression to Apply for the IBPS RRB 2018 ? Should an aspirant provide any written declaration to apply for the IBPS RRB 2018 ? YES. Applicants should provide the scanned image of the Left thumb impression and also have to submit a Hand written declaration as follows. The above mentioned hand written declaration has to be in the candidate’s hand writing and in English If it is written and uploaded by anybody else or in any other language, the application will be considered as invalid. Aspirants can check the Exam Pattern and the selection procedure of the IBPS RRB 2018 various posts from the link that is mentioned below. Aspirants can check the Statewise vacancies of the IBPS RRB 2018 from the link that is mentioned below. Please note that this is a tentative list where many banks haven’t mentioned the vacancies for the IBPS RRB 2018, which can be increased or decreased. Please check it from the below links. Check the Quadratic Equation SHORTCUT video to score 5/5 in the IBPS RRB 2018 Exam. Aspirants can comment the QUERIES / DOUBTS they have regarding the IBPS RRB 2018 in the comments below and we will answer the comments. Get your doubts clarified now. Will you please provide the practice questions for RRB exams. Sir, my left thumbprint is blurred when I reduced the size and I noticed it only after downloading my application form. what should I do sir.? will my application be rejected?? Since you have uploaded, leave it, Even in our videos many aspirants complained about the same, so don’t worry. Is July 2nd the last date or I can even apply on 2nd July????? You can apply on July 2, 2018. You can apply again with a different mail id. But what we have learnt from the experts, you will be provided hall ticket for the one which you have applied first (We were constantly saying this from the first to be extra cautious while you apply for the Exam). It’s finally your choice. (But you can get an affidavit but there is an issue in that too last year some aspirants were rejected in the document verification even though they have provided an affidavit). It’s all RRB’s say at the last. These are the realities. Use Image Resizer or scan the image again and do image resizing. If you are a Race student, please visit the computer labs, they will help you. sir bank preference order mathi apply panitan first pandiyan then pallavan but i m in Chennai, during interview bank preference matha mudiuma? The one which you provide is the final one. So we fear it cannot be changed. If you have written the hand declaration wrong then you have to resubmit the declaration again newly. If you have submitted the application then it is not possible. Sir , by mistake i have uploaded handwriting declaration statement writing in capital letters. I have completed payment too. Will i be rejected in writing exam? Please reply sir. We are not sure whether you application will be rejected ? It was clearly mentioned that not to do so. If your application is accepted then get a declaration regarding the same (by stating the error) in advance. Also for a clarification, please mail to IBPS regarding this , that will be the best available solution right now. We are not sure of that still. It’s in that hands of IBPS. So please mail them regarding this. There might be a possibility, we are not sure as it hasn’t been mentioned. Sir..i had wrongly entered my rrb mains attempt….is there any problem in final selection??? Please take an affidavit if you go to the interview process. That’s enough. Orelse you can mail your grievances to IBPS. Take the preliminary as a count as it hasn’t been mentioned. I upload my sign in blue pen. So I face any problem in future. We are getting of lot of Questions regarding this. So the answer is, make sure that you mail your question to ibps. Since it hasn’t been mentioned in the official notification. Sir my left thumb impression is not clearly visible in the application form but i have reduced to the size mentioned will it create a problem sir? ?please help me with this because I have paid the fees too and completed the registration.. Double quotes is mandatory in ibps rrb declaration form. Left thumb impression is not printing on application form of Officer scale 1. what should I do? I have successfully completed my sbi rrb officer 1 form but my declaration image is not clear at all …what will happen now ?? …. what should I do now ?? Sir, In notification they said declaration should be written in black ink but I have submitted in blue ink .Is there any issues .what to do?please guide. It is said in notification that it should be in black ink. Also it is safe to mail IBPS regarding that. These days we cannot predict the outcomes as everything said in the notification are strictly followed. How to contact them ?This there any mailid? sir i upload signature and declaration in blue ink insted of black ink for ibps rrb 2018. Is there any problem with that? In ibps rrb form ,scan wrong thumb impression(right thumb),what should I do,is it create any problem in selection process. If you need to change that, you need to apply fresh. Please check that if it is really needed. If your uploaded one is blurry , there might be some complications. Please note that it is mentioned in the notification that all the uploaded documents should be clear. So if you really have doubts regrading the blurred conditions of the uploaded documents. Please mail the IBPS regarding that. Sir whether i have to sign under the hand written declaration??? It is not mentioned like that in the Notification. So NO. Please have a detailed look at the notification again. how to scan my thumb signature??? Please don’t take screenshots or Using cam , use scanner, because that will provide you the exact replica of the Scanned one. I have filled my form and the place where to upload thumb impression i have signed and the form is successfully submitted. Will be the form rejected? Since you have filled the form , where does the sign of rejection comes into play ? Can you please elaborate if there is any ? Hi Sir, even i did same mistake in place of thumb impression i have upload my signature and the form is submitted successfully. What should i do now? Please help me this. If anyone who read this comment and have solution then please mail me in sandysonu450@gmail.com. can we submit only marks sheets at the time of Interview? There is a list of Documents which needs to be provided at the time of interview. Mark Sheets , Online Application Form and many others as mentioned in the notification. It makes us feel comfortable while preparing…..
And also what are all the topics we need to concentrate more…..it will be very helpfull for us…..
We will share the important Topics which needs to be covered for the IBPS RRB Scale I , II & III Officer and Office Assistant Posts. Please have a check so that you don’t miss the posts in the forthcoming days. Is it necessary to write Declaration in Black ink pen only or can write in Boise ink also. Because I uploaded with blue ink pen. Is there any problem? If the written declaration is legible and clear, it is not a problem. is it necessary to get the percentage certificate??? It will be needed during the Interview phase definitely. So it is wise to get one now. Also it will be useful for the forthcoming exams too. whether studied local language above 8th std – ” NO” nu theriyaama kuduthu apply paniten. application reject paniruvaangala……. answer plsss………. It might create issues when you attend the interview, because last year we heard that some of the candidates were not allowed to attend the interview because in the document verification , the authorities found that the information was mistakenly updated while applying. Even though the aspirants had correct declaration forms to acknowledge that, they weren’t allowed. So please mail IBPS regarding this. Sir I am from West bengal there is almost no vacency for RRB PO and assistant with less quantity…can I apply other states? Yes. You can apply as far as you know the languages mentioned in the applying states. You are free to apply in any states. Can I get posting in my hometown ?? Yes. If there are Vacancy in your hometown. Most Probably aspirants who gets selected will get work places near their home town and only at rare chances, they are not provided with places nearer.